CARFAX 1-Owner, GREAT MILES 30,936! Heated Seats, Bluetooth, CD Player, Brake Actuated Limited Slip Differential, iPod/MP3 Input READ MORE!KEY FEATURES INCLUDEHeated Driver Seat, Turbocharged, Diesel, Satellite Radio, iPod/MP3 Input, Bluetooth, CD Player, Aluminum Wheels, Brake Actuated Limited Slip Differential, Heated Seats MP3 Player, Keyless Entry, Remote Trunk Release, Steering Wheel Controls, Electronic Stability Control. Volkswagen TDI with TEMPEST BLUE exterior and BEIGE V-TEX interior features a 4 Cylinder Engine with 140 HP at 4000 RPM*. EXPERTS CONCLUDEKBB.com's review says "Despite prices that compete head-on with rivals from the U.S. Japan and Korea, the 2013 Jetta exudes the build quality and dynamic handling associated with a European car.". Great Gas Mileage: 42 MPG Hwy. BUY WITH CONFIDENCECARFAX 1-Owner MORE ABOUT USNorth Park Volkswagen of Dominion is located at 21315 West Interstate 10, just east of Friedrich Park. Volkswagen is widely recognized for quality, reliability, value, and an award-winning commitment to customer satisfaction. Our state of the art dealership has the largest VW inventory in Central Texas. Visit us at www.northparkvw.com to schedule an appointment with one of our VW Experts. Please confirm the accuracy of the included equipment by calling us prior to purchase. CARFAX 1-Owner, LOW MILES - 47,580! Nav System, Moonroof, Heated Seats, Satellite Radio, iPod/MP3 Input, Bluetooth, Diesel CLICK NOW!KEY FEATURES INCLUDENavigation, Sunroof, Heated Driver Seat, Turbocharged, Diesel, Premium Sound System, Satellite Radio, iPod/MP3 Input, Bluetooth, Aluminum Wheels, Keyless Start, Brake Actuated Limited Slip Differential, Heated Seats MP3 Player, Remote Trunk Release, Keyless Entry, Steering Wheel Controls, Electronic Stability Control. 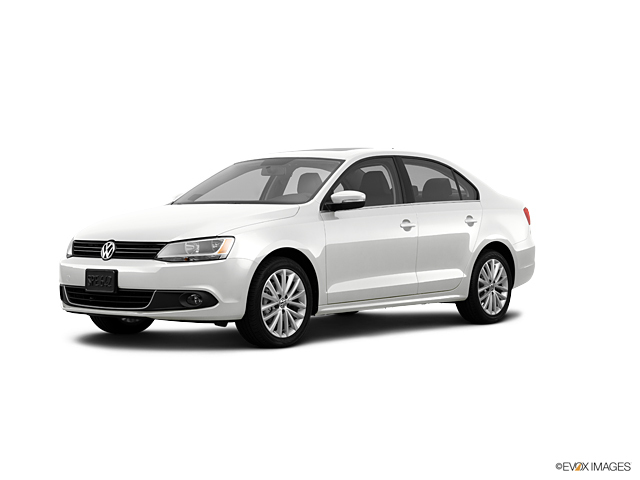 Volkswagen TDI w/Premium/Nav with MOON ROCK SILVER METALLIC exterior and BEIGE V-TEX interior features a 4 Cylinder Engine with 140 HP at 4000 RPM*. EXPERTS CONCLUDECarAndDriver.com's review says "For its latest redesign, the Jetta TDI grew larger but kept its sweet turbo-diesel engine.". Great Gas Mileage: 42 MPG Hwy. BUY WITH CONFIDENCECARFAX 1-Owner OUR OFFERINGSNorth Park Volkswagen of Dominion is located at 21315 West Interstate 10, just east of Friedrich Park. Volkswagen is widely recognized for quality, reliability, value, and an award-winning commitment to customer satisfaction. Our state of the art dealership has the largest VW inventory in Central Texas. Visit us at www.northparkvw.com to schedule an appointment with one of our VW Experts. Please confirm the accuracy of the included equipment by calling us prior to purchase. CARFAX 1-Owner, GREAT MILES 50,635! Moonroof, Heated Seats, Bluetooth, iPod/MP3 Input, Brake Actuated Limited Slip Differential READ MORE!KEY FEATURES INCLUDESunroof, Heated Driver Seat, Turbocharged, Diesel, Premium Sound System, Satellite Radio, iPod/MP3 Input, Bluetooth, Multi-CD Changer, Aluminum Wheels, Brake Actuated Limited Slip Differential, Heated Seats. MP3 Player, Remote Trunk Release, Keyless Entry, Steering Wheel Controls, Heated Mirrors. Volkswagen TDI w/Premium with Candy White exterior and Cornsilk Beige interior features a 4 Cylinder Engine with 140 HP at 4000 RPM*. EXPERTS RAVE"For its latest redesign, the Jetta TDI grew larger but kept its sweet turbo-diesel engine." -CarAndDriver.com. Great Gas Mileage: 42 MPG Hwy. SHOP WITH CONFIDENCECARFAX 1-Owner VISIT US TODAYNorth Park Volkswagen of Dominion is located at 21315 West Interstate 10, just east of Friedrich Park. Volkswagen is widely recognized for quality, reliability, value, and an award-winning commitment to customer satisfaction. Our state of the art dealership has the largest VW inventory in Central Texas. Visit us at www.northparkvw.com to schedule an appointment with one of our VW Experts. Please confirm the accuracy of the included equipment by calling us prior to purchase. GREAT MILES 30,481! Heated Seats, Sunroof, Bluetooth, iPod/MP3 Input, Brake Actuated Limited Slip Differential, Multi-CD Changer READ MORE!KEY FEATURES INCLUDESunroof, Heated Driver Seat, Turbocharged, Diesel, Premium Sound System, Satellite Radio, iPod/MP3 Input, Bluetooth, Multi-CD Changer, Aluminum Wheels, Brake Actuated Limited Slip Differential, Heated Seats MP3 Player, Remote Trunk Release, Keyless Entry, Steering Wheel Controls, Heated Mirrors. Volkswagen TDI w/Premium with CANDY WHITE exterior and BLACK V-TEX interior features a 4 Cylinder Engine with 140 HP at 4000 RPM*. EXPERTS CONCLUDE"Despite prices that compete head-on with rivals from the U.S. Japan and Korea, the 2013 Jetta exudes the build quality and dynamic handling associated with a European car." -KBB.com. Great Gas Mileage: 42 MPG Hwy. OUR OFFERINGSNorth Park Volkswagen of Dominion is located at 21315 West Interstate 10, just east of Friedrich Park. Volkswagen is widely recognized for quality, reliability, value, and an award-winning commitment to customer satisfaction. Our state of the art dealership has the largest VW inventory in Central Texas. Visit us at www.northparkvw.com to schedule an appointment with one of our VW Experts. Please confirm the accuracy of the included equipment by calling us prior to purchase. LOW MILES - 60,851! Heated Seats, Bluetooth, CD Player, Brake Actuated Limited Slip Differential, iPod/MP3 Input, Aluminum Wheels READ MORE!KEY FEATURES INCLUDEHeated Driver Seat, Turbocharged, Diesel, Satellite Radio, iPod/MP3 Input, Bluetooth, CD Player, Aluminum Wheels, Brake Actuated Limited Slip Differential, Heated Seats MP3 Player, Keyless Entry, Remote Trunk Release, Steering Wheel Controls, Electronic Stability Control. Volkswagen TDI with TOFFEE BROWN METALLIC exterior and BEIGE V-TEX interior features a 4 Cylinder Engine with 140 HP at 4000 RPM*. EXPERTS ARE SAYINGKBB.com's review says "Despite prices that compete head-on with rivals from the U.S. Japan and Korea, the 2013 Jetta exudes the build quality and dynamic handling associated with a European car.". Great Gas Mileage: 42 MPG Hwy. BUY FROM AN AWARD WINNING DEALERNorth Park Volkswagen of Dominion is located at 21315 West Interstate 10, just east of Friedrich Park. Volkswagen is widely recognized for quality, reliability, value, and an award-winning commitment to customer satisfaction. Our state of the art dealership has the largest VW inventory in Central Texas. Visit us at www.northparkvw.com to schedule an appointment with one of our VW Experts. Please confirm the accuracy of the included equipment by calling us prior to purchase. LOW MILES - 45,442! Heated Seats, Moonroof, Bluetooth, iPod/MP3 Input, Brake Actuated Limited Slip Differential, Multi-CD Changer CLICK ME!KEY FEATURES INCLUDESunroof, Heated Driver Seat, Turbocharged, Diesel, Premium Sound System, Satellite Radio, iPod/MP3 Input, Bluetooth, Multi-CD Changer, Aluminum Wheels, Brake Actuated Limited Slip Differential, Heated Seats MP3 Player, Remote Trunk Release, Keyless Entry, Steering Wheel Controls, Heated Mirrors. Volkswagen TDI w/Premium with BLACK exterior and BLACK V-TEX interior features a 4 Cylinder Engine with 140 HP at 4000 RPM*. EXPERTS ARE SAYINGKBB.com explains "Despite prices that compete head-on with rivals from the U.S. Japan and Korea, the 2013 Jetta exudes the build quality and dynamic handling associated with a European car.". Great Gas Mileage: 42 MPG Hwy. BUY FROM AN AWARD WINNING DEALERNorth Park Volkswagen of Dominion is located at 21315 West Interstate 10, just east of Friedrich Park. Volkswagen is widely recognized for quality, reliability, value, and an award-winning commitment to customer satisfaction. Our state of the art dealership has the largest VW inventory in Central Texas. Visit us at www.northparkvw.com to schedule an appointment with one of our VW Experts. Please confirm the accuracy of the included equipment by calling us prior to purchase. ONLY 19,959 Miles! NAV, Heated Seats, Sunroof, Satellite Radio, iPod/MP3 Input, Bluetooth, Turbo, Alloy Wheels, Diesel READ MORE!KEY FEATURES INCLUDENavigation, Sunroof, Heated Driver Seat, Turbocharged, Diesel, Premium Sound System, Satellite Radio, iPod/MP3 Input, Bluetooth, Aluminum Wheels, Keyless Start, Brake Actuated Limited Slip Differential, Heated Seats. MP3 Player, Remote Trunk Release, Keyless Entry, Steering Wheel Controls, Electronic Stability Control. Volkswagen TDI w/Premium/Nav with CANDY WHITE exterior and BLACK V-TEX interior features a 4 Cylinder Engine with 140 HP at 4000 RPM*. EXPERTS CONCLUDEKBB.com explains "Despite prices that compete head-on with rivals from the U.S. Japan and Korea, the 2013 Jetta exudes the build quality and dynamic handling associated with a European car.". Great Gas Mileage: 42 MPG Hwy. VISIT US TODAYNorth Park Volkswagen of Dominion is located at 21315 West Interstate 10, just east of Friedrich Park. Volkswagen is widely recognized for quality, reliability, value, and an award-winning commitment to customer satisfaction. Our state of the art dealership has the largest VW inventory in Central Texas. Visit us at www.northparkvw.com to schedule an appointment with one of our VW Experts. Please confirm the accuracy of the included equipment by calling us prior to purchase. GREAT MILES 40,049! Moonroof, Nav System, Heated Seats, Satellite Radio, iPod/MP3 Input, Bluetooth, Premium Sound System READ MORE!KEY FEATURES INCLUDENavigation, Sunroof, Heated Driver Seat, Back-Up Camera, Turbocharged, Diesel, Premium Sound System, Satellite Radio, iPod/MP3 Input, Bluetooth, Aluminum Wheels, Remote Engine Start, Dual Zone A/C, Brake Actuated Limited Slip Differential, Heated Seats MP3 Player, Remote Trunk Release, Keyless Entry, Child Safety Locks, Steering Wheel Controls. Volkswagen TDI SEL Premium with BLACK exterior and TITAN BLACK LEATHER interior features a 4 Cylinder Engine with 140 HP at 4000 RPM*. EXPERTS RAVECarAndDriver.com explains "The Passat is larger, now made in America for American tastes, and it offers a lot of bang for your buck while still retaining many VW hallmark qualities.". Great Gas Mileage: 40 MPG Hwy. VISIT US TODAYNorth Park Volkswagen of Dominion is located at 21315 West Interstate 10, just east of Friedrich Park. Volkswagen is widely recognized for quality, reliability, value, and an award-winning commitment to customer satisfaction. Our state of the art dealership has the largest VW inventory in Central Texas. Visit us at www.northparkvw.com to schedule an appointment with one of our VW Experts. Please confirm the accuracy of the included equipment by calling us prior to purchase.